NYC producer and one of the heads of the label, Little Giant, Chris Luzz gives us 4 tracks for the next 3Bridge Elements release. A mix of downtempo and ambient, it showcases the diversity of his production styles. 'Calm' starts things off with a slow, steady beat with retro style 808 percussion, piano riffs, and filtered out dubby synths. Pianos also occasionally punch through the mix creating a borderline jazzy smoky, silky feel. The piece 'Cool' drenches the listener with echoing voices, evolving melodies, and soundtrack type sequences. A textured backdrop keeps the atmosphere heavy, perhaps it's rain pelting against a window, or trees blowing in a field as branches snap against each other gracefully. 'Collective' follows as a great counter part to the previous song. It's beat less and airy evoking the earlier works of Tangerine Dream and Jean-Michel Jarre. It stays up in the clouds, as if you were looking down at city lights twinkling from above. 'Solidarity' bookends the EP and leaves it off where it started. The moodiest track on the record, the light but detailed drums propel it, while heavy pads and bells help it flourish. 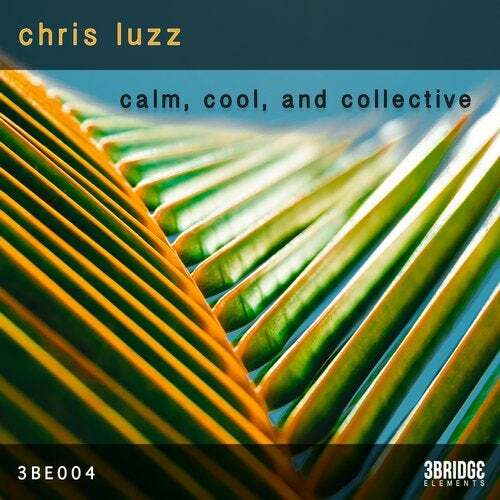 Stay 'Calm, Cool, and Collective' with this really solid EP.